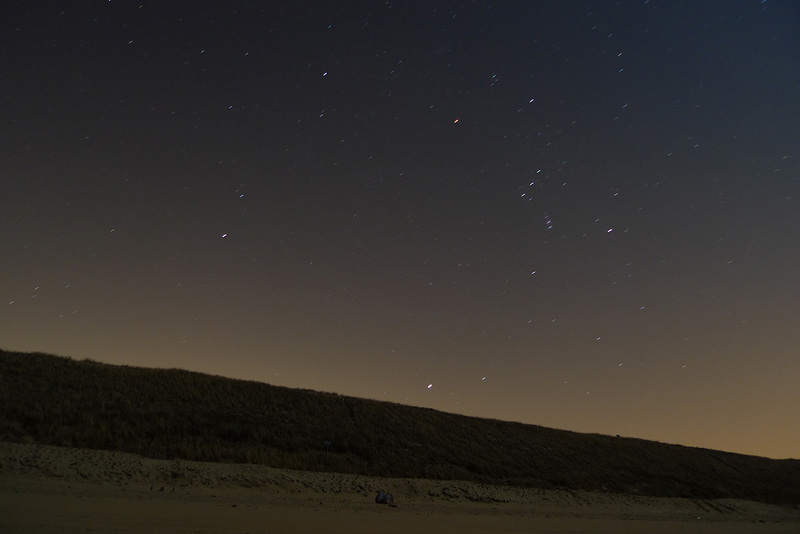 Did a long walk along the beach today, and tried a picture of the stars. Having no tripod with me, I had the cam resting on a glove, which worked rather much okay. 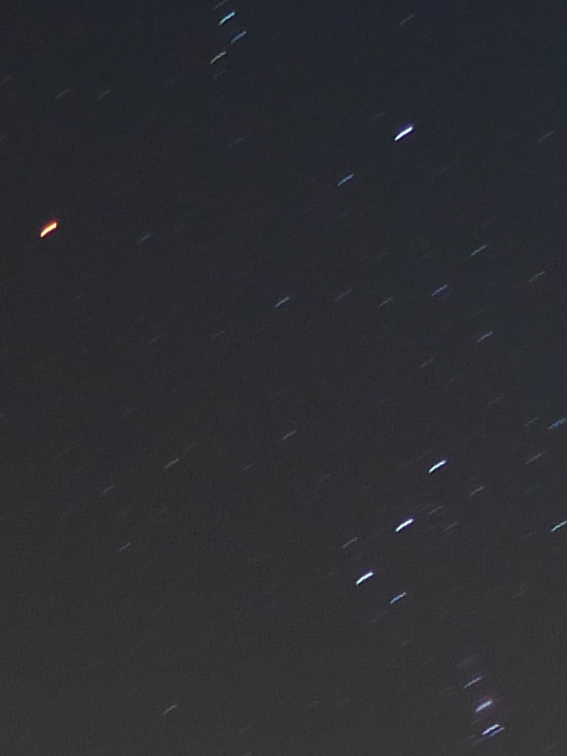 Yes, 60 seconds is too much for catching the stars, unless you have a motor attached to your tripod. Now that the moon is approaching Orion, you can try with a tripod and lesser exposure in the next two days.